Canadian author Lucy Maud Montgomery was born on Prince Edward Island, Canada. Montgomery’s mother died when she was 21 months old, so her father sent her to live with her strict maternal grandparents in Cavendish, Prince Edward Island. As a child, Montgomery loved to read and enjoyed nature and the outdoors. She attended Prince of Wales College, obtained her teaching certificate, and worked as a teacher at various schools. Montgomery’s first book, Anne of Green Gables, was published in 1908 and was an immediate success. 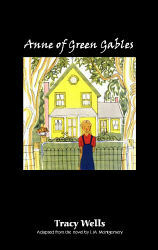 Montgomery drew on her childhood experiences for the novel and many of the places in the fictional town of Avonlea are based on places in Cavendish, including the Green Gables farmhouse, which has become a popular tourist attraction on the island. In 1911, Montgomery married Ewan MacDonald, a Presbyterian minister, and the couple had two sons. Montgomery went on to write seven more novels featuring her popular character, Anne. Before her death in 1942, Montgomery published 20 novels and hundreds of short stories and poems. Today, Anne of Green Gables remains a popular children’s classic.